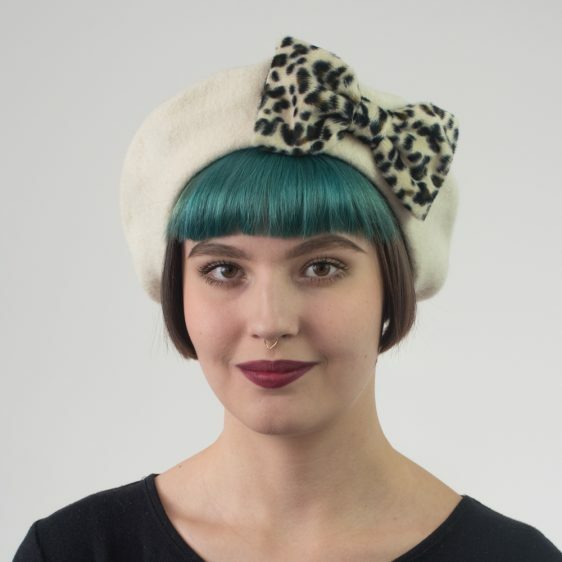 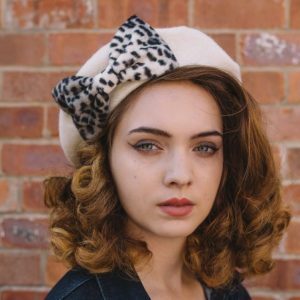 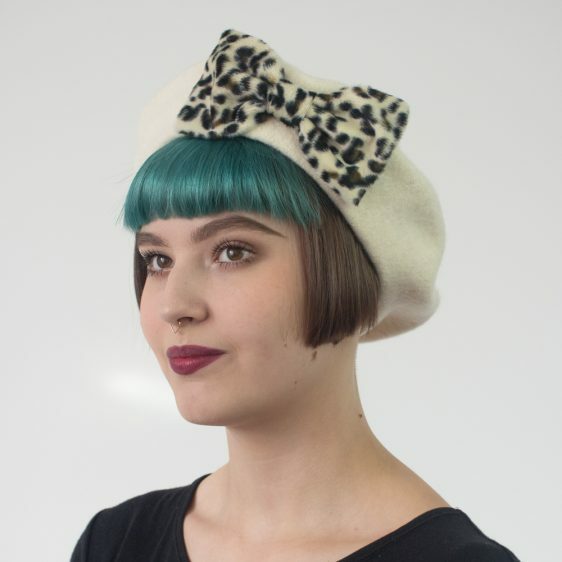 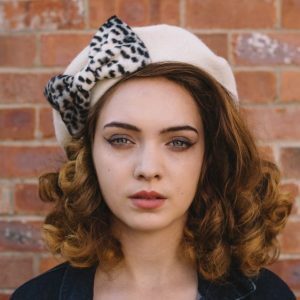 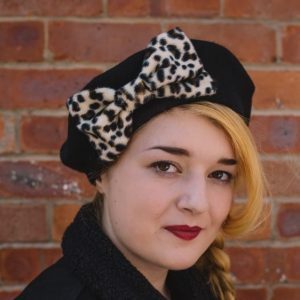 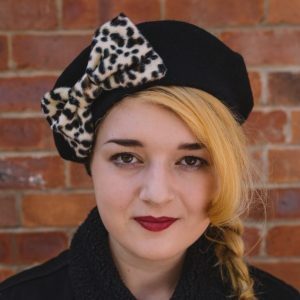 A machine made ivory wool beret hat customised with a large handmade gold-brown-black leopard print faux fur bow. 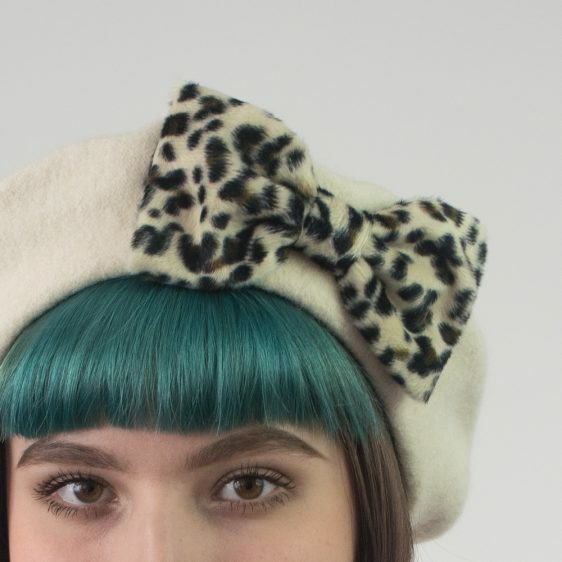 These berets are the perfect winter accessory. 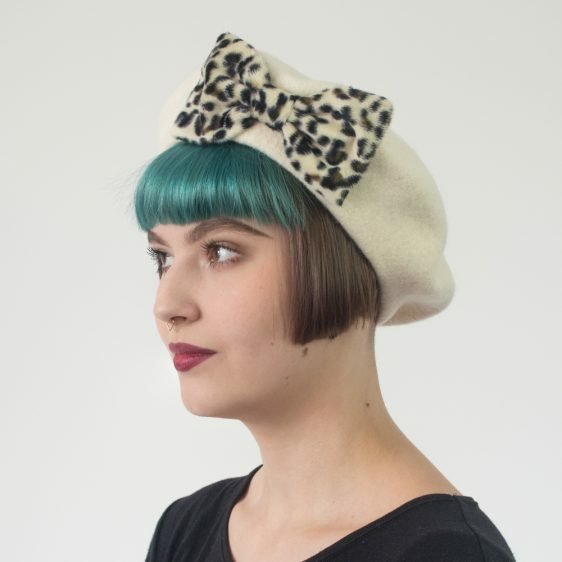 Cosy, chic and so easy to wear. 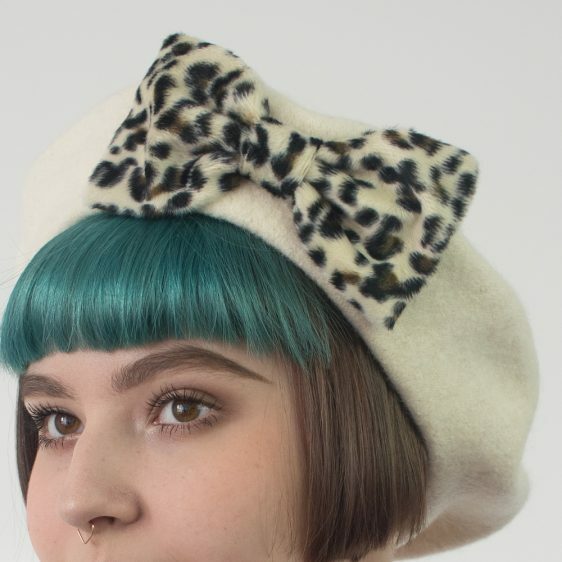 This leopard faux fur is also available in combination with a black or brown beret.